Cheesy polenta with Swiss chard is one of my favorite recipes for several reasons. This dish is quick, simple to make, and smells incredible while cooking. The greens, reds, and yellows in this dish are beautiful. 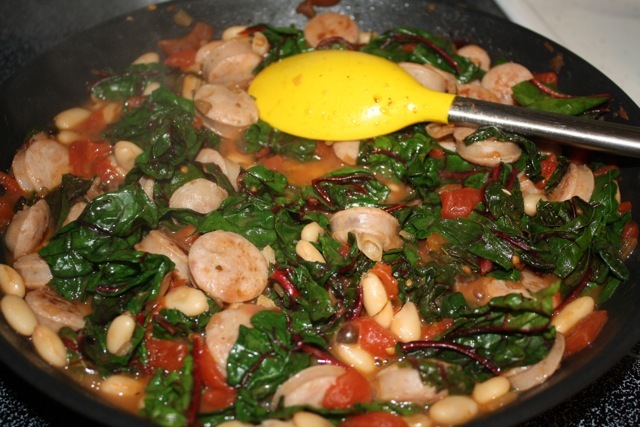 I also like how easy it is to create variations of this recipe based on what is fresh in the garden or what I have on hand in my pantry; Kale or spinach can substitute for Swiss chard and the Cannellini beans can be replaced with black beans, garbanzo beans, or virtually any other type of bean. 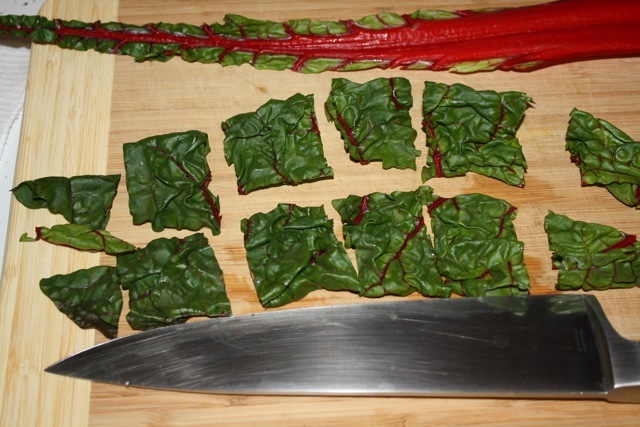 To prepare the Swiss chard, run a knife along each side of the chard stems to remove them. With the stems removed, cut across the leafy pieces in about 1.5 inch intervals. Wash the chard pieces in a salad spinner or under cool running water. 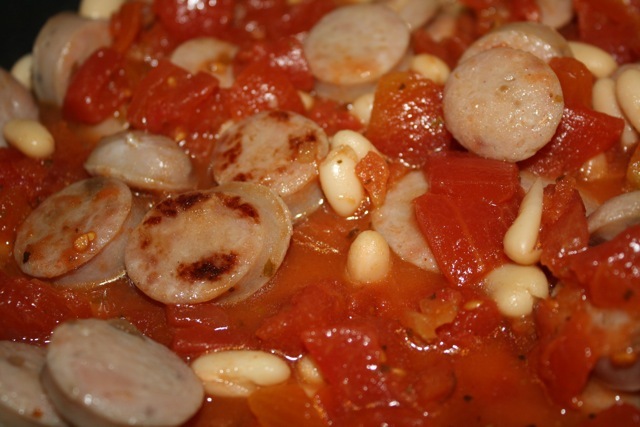 Drain and rinse the Cannellini beans, grate the cheddar cheese, and slice the chicken sausage in half inch rounds. Prepare four servings of polenta according the directions. For Bob’s Red Mill polenta, this was adding 1/2 teaspoon of salt to three cups of boiling water before adding 1 cup of polenta and cooking for 5 minutes, stirring occasionally. When the polenta is cooked, add 1/4 cup of cheddar cheese to the polenta and stir well over low heat. If the polenta begins to look too thick before you finish cooking the rest of the meal, you can add a little butter or a little extra water and stir well. While the polenta is cooking, heat about 2 teaspoons of olive oil in a non-stick skillet over medium heat. Cook the chicken sausage rounds in the oil until lightly browned, about 2 minutes. Add the Cannellini beans and cook for another 2 minutes. Add the diced tomatoes with juices and cook for another minute. 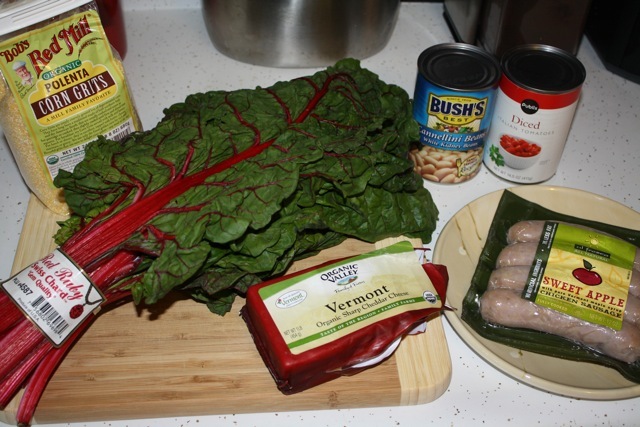 Add two handfuls of Swiss chard to the chicken sausage, Cannellini bean, and tomato mixture and gently mix until the chard is wilted. It will look like too much chard at first, but chard wilts quickly. 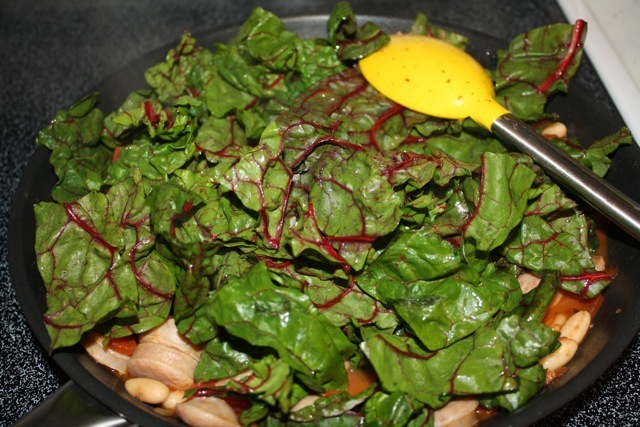 As the chard wilts, add two handfuls at a time and stir gently until all of the chard is incorporated into the mixture. 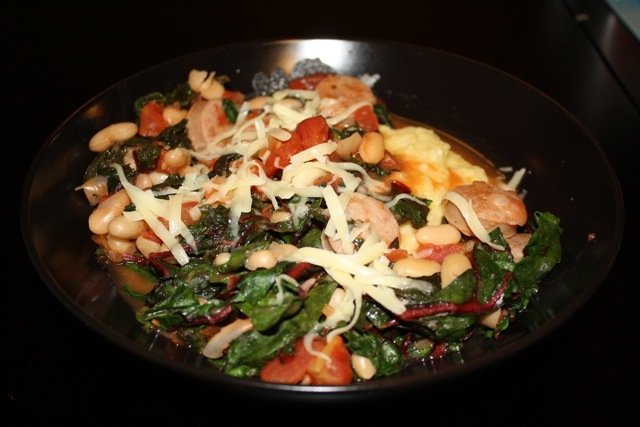 Spoon one serving of the cheesy polenta into a bowl and top with the chicken sausage, beans, tomatoes, and chard mixture. Garnish with extra grated cheddar to taste and serve. 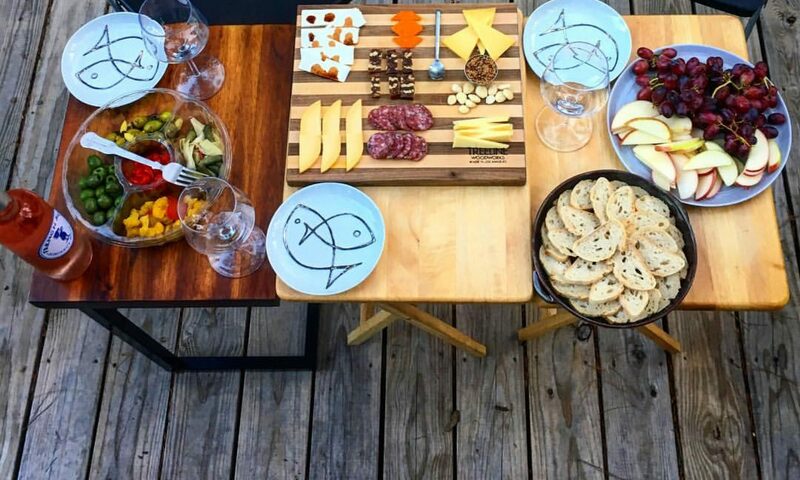 Oh my gosh, that looks heavenly!